Dive with sea lions, sea turtles, sea iguanas, sharks and manta rays! 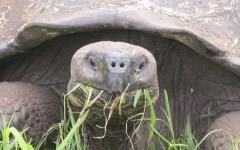 *This itinerary is an example of diving tours that we offer in the Galapagos. Diving activities may vary depending on the selected departure date. For more information, please contact us. Combine your trip with a small-ship cruise to visit the surrounding islands of Galapagos, each with its own unique wildlife and history. 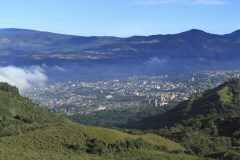 Extend your trip into the Ecuadorian Amazon Rainforest and discover its astounding biodiversity. Tick the impressive Machu Picchu off your bucket list with our classic 9-day Inca Trail tour. Upon arrival to San Cristobal Island, our representative will meet you and transfer you to your selected hotel. After checking in, your first visit will be San Cristobal Interpretation Centre, where you will have the chance to learn about the origin of the archipelago, its fauna and flora, as well as the history and its first inhabitants. Afterwards, join on a hike for about 2 hours to Tijeretas hill, where youwill enjoy the endemic vegetation and a beautiful view of the island and its surroundings. The main attraction here is the frigate birds. At the end of the day, you will visit Tijereta Bay and do some snorkeling before returning to the hotel. Wake up early today and leave to Kicker Rock, where you will enjoy your second diving tour. The first stop will be either Lobos island or Tijeretas (depending on the season). 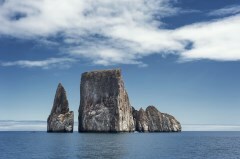 Here you will make your check dive before reaching Kicker Rock. With the possibility to dive up to 18m, you will have the chance to see hammerhead sharks, galapagos sharks, marine turtles, manta rays and different types of tropical fishes. End the day by visiting a nearby beach to relax and observe marine birds before returning to your hotel. After breakfast, transfer to Baltra Island and take a shuttle to Santa Cruz Island where you will reach the highlands of the islands. Wander through the green vegetation before stopping a Ranch to see Giant Turtles in their natural habitat. Another attraction here is an excursion through the lava tunnel in order to receive an explanation of the geological formation of the Islands. After lunch, there is an optional activities to take part in a conservation project. Later, transfer to Puerto Ayora to check in to your selected hotel. Departing for your third diving tour, you will transfer to Gordon Rocks located 1 hour away from Santa Cruz Island. It is an extinct volcanic crater with a sand deep floor of 32 meters. This is the most famous diving point at the Galapagos due to its strong currents and here you will be able to see species of open sea. Occasionally, you will see schools of Hammerhead sharks, rays, reef fishes and with luck the whale shark. In the afternoon, return back to your hotel and spend the remainder of the day at leisure. This morning you will visit Charles Darwin Station before transferring back to Baltra Airport for your flight to Quito or Guayaquil. Charles Darwin Station is a reservoir of information on habitats and local conservation, as well as other fascinating relevant statistics. The most striking attraction of this station is certainly the Tortoise Breeding Centre, where it is possible to view tortoises of varied sizes and shapes. Diving places may change according divers level and availability. Sailing day tour may change according availability.